The Irish Examiner published the following letter by Maoilíosa Mel Reynolds on October 21st 2014. Link here. Good news in the construction industry? 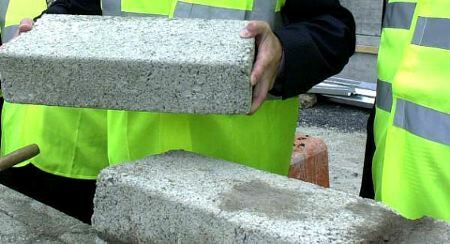 Central Statistics Office figures indicate an increased number of smaller residential extensions. But the number of commencement notices lodged in local authorities continues to be depressed, now at 30% below 2013 levels, a historic low. A major drag on the industry is building control system, S.I.9, introduced in March 2014. Criticised for having little or no additional consumer protection, it was a rushed, paper problem-solving exercise by former Environment Minister Phil Hogan before he went off to Europe. The problem for the new Environment Minister, Alan Kelly, is to reverse these alarming trends, but how without causing embarrassment in the Department? S.I.9 has added between €20,000 and €40,000 for every new house. It is having a negative effect on speculative residential housing, depressing site values and delaying starts. However, the main fall-out is for self-builders, ordinary people who manage their own building projects and who are now in a legal minefield. Self-building is one of the biggest sectors in residential construction — one third of all houses built in any year have owners as main contractors. SI.9 is adding a whopping 22% onto the cost of a modest house — for no increase in technical performance. The IAOSB, the consumer group representing self-builders, has obtained independent legal advice that SI.9 precludes self-building. The legislative vagueness of S.I.9 is having a catastrophic effect on self-building, particularly at the lower-cost end. The IAOSB estimate that one third of all self-builds will be indefinitely postponed or abandoned, due to S.I.9. Self-builders who have stalled are remaining in rental accommodation or in council housing, or on waiting lists. Construction is straining to get started. Perhaps the Minister should cut ineffectual red tape rather than provide dog-box apartments and reduce standards? Due to the impact of S.I.9 on self-builders, three local authorities, Wicklow, Sligo and, most recently, Wexford, have called on the Minister to revoke SI.9. Many of these problems were forecast last year, in advance of the introduction of S.I.9, by consumer groups and professionals, who called for deferral of the new regulations. One thing is for sure: unless the Minister acts fast, current housing problems will only become more acute. Do we really need to be saying “I told you so” in 12 months’ time? When I was trying to struggle along and survive the 2008-2010 Crash I started to target self-build housing. I was astonished to find that – even during the boom years – self build had been estimated by some sources to account for 35% of the housing market. I find that an astonishing figure! And since I have heard no reports of self build houses spontaneously combusting or costing a small African country’s total oil output a year to heat, I can only conclude that in general, they were reasonably well executed. Because that is what is missing from the current debate in the Regulations. Perfection is being sought. Nowhere is perfection sought in ANY COURT RULING! The Architect must perform to a reasonable level of competence for someone in is profession. A House must be in substantial compliance such that the local authority won’t need to commence legal proceedings to rectify it. You see, when you start seeing politicians imposing absolute limits, they’re just riding a wave of public disapproval and trying to garner votes for the next election. The Building Regulations Disaster shows why Fine Gael were out of power for fifteen years. Fianna Fail may be the StrokeMeisters, but Fine Gael are just fools who cannot do anything and that departed clown Hogan was the worst of all. – The Septic Tank Charge. – Shutting Down Investigations into Planning Corruption. – Party to the plethora of lies and broken promises. These fools should never get into power again. I hope they go the way of the PDs, another Right Wing shower of fools.